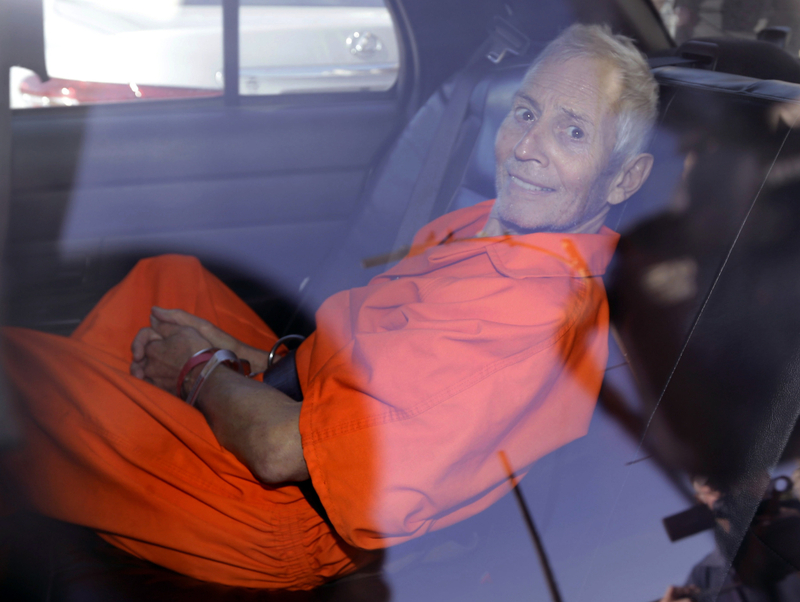 Robert Durst, 75, has pleaded not guilty to the execution-style shooting of his friend Susan Berman in Los Angeles. LOS ANGELES – It’s been more than three years since the arrest of eccentric New York real estate heir Robert Durst in the execution-style shooting of his best friend years earlier in Los Angeles. “All kinds of evidentiary issues are going to be a battle in this case,” said Stanley Goldman, a professor at Loyola Law School. Durst’s defense team, who didn’t reply to messages seeking comment, has fought or is expected to challenge every bit of evidence that implicates him, including Berman’s numerous hearsay statements to friends. Deputy District Attorney John Lewin said Durst forfeited the right to challenge the hearsay statements because he killed Berman to prevent her from telling police what she knew about Kathleen Durst’s death. “His attempt to prohibit the jury from learning what she said about him killing his wife is the most recent chapter in the defendant’s 36-year quest to evade responsibility for the heinous crimes he has committed,” Lewin said. Berman’s death and a subsequent killing were motivated to cover-up his wife’s death, Lewin said. He intends to present evidence Durst roughed up his wife to show he tried to control her through fear and had the capacity for violence that escalated. For example, it’s not certain if the judge will allow evidence that Durst fatally shot and dismembered neighbor Morris Black, 71, in Galveston, Texas, nine months after Berman was killed. Durst had moved there and posed as a mute woman to hide from investigators who wanted to talk to him after reopening the investigation into Kathleen Durst’s disappearance. He was acquitted of murder after testifying he killed Black in self-defense. Durst was arrested in the Berman killing in 2015, just before the climactic final episode of “The Jinx” aired, in which he is heard muttering in a restroom about the killings. “I was the worst fugitive the world has ever met,” Durst said, according to a transcript of the interview.